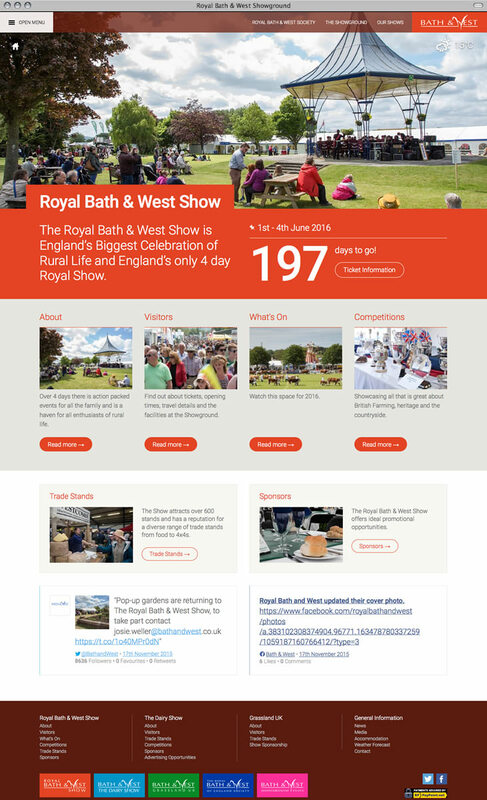 The Royal Bath and West Society of England is a charity based in Somerset, England. 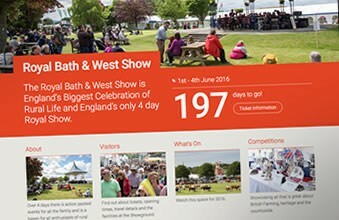 Each year they hold significant agricultural and family orientated shows at their prestigious 240 acre Showground near Shepton Mallet. We were honoured to be tasked with the overhaul of their current website which was looking dated and was proving difficult to maintain to a high standard. 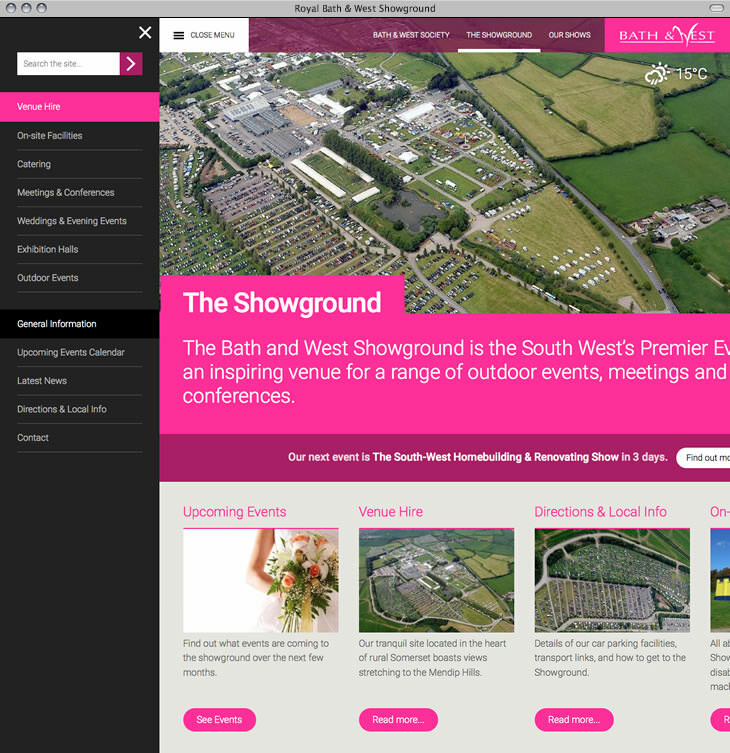 Utilising the power of WordPress, we split the site into three separate websites each serving a separate, distinct purpose - a site to promote their own three major shows (the Royal Bath & West Show, Grassland UK and The Dairy Show), another holding information about the Society itself, and a third site to promote 3rd party events at the Showground. The sites are closely intertwined to give a seamless user experience. The site is built using our own Platform foundation, and the client is delighted with how easy it is to maintain.